Inegrative Lifestyle and Medical Tourism tha makes a difference! Feel India’s earth under your feet. Breathe in her personality – exotic, extravagant, elegant, eclectic. India’s rural life, art, culture, and heritage will inspire the rhythm of your heart, and brighten the colors of your mind. India is not just has something for everyone. Not just a tourist destination. India is life changing. Known for her uniqueness, beauty and charm, Hospitable India is has attracted travelers for millennia. A country of tremendous diversity, there is something for everyone. 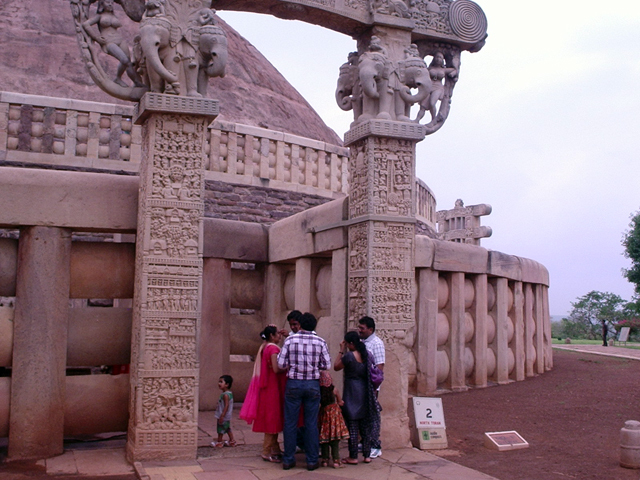 To encourage India’s rapidly growing tourist market, The Indian government, the Ministry of Tourism and Culture’s . This ministry recently launched a campaign called ‘Incredible India!’ in order to encourage different types of tourism in India. India’s Adventure tourism is growing in popularity. Trek remote Ladakh and the Himalayas or enjoy skiing in Sikkim, Himachal Pradesh and Jammu and Kashmir. Enjoy adrenalin packed whitewater rafting in Uttaranchal, Assam, and Arunachal Pradesh for this activity. 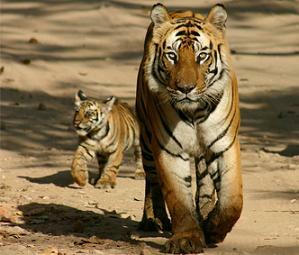 India’s rich forests have someof the worlds most beautiful and exotic wildlife – some endangered and very rare. The places where a foreign tourist can go for wildlife tourism in India are the Sariska Wildlife Sanctuary, KalaDeo Ghana National Park, and Corbett National Park. Tourists from all over the world have been thronging India to avail themselves of cost-effective but superior quality healthcare in terms of surgical procedures and general medical attention. Several medical institutes in the country cater to foreign patients and impart top-quality healthcare at a fraction of what it would have cost in developed nations such as USA and UK. It is expected that medical tourism in India will hold a value around US$ 2 billion by 2012. The city of Chennai attracts around 45% of medical tourists from foreign countries. India is famous for its temples and that is the reason that among the different kinds of tourism in India, pilgrimage tourism is increasing most rapidly. The various places for tourists to visit in India for pilgrimage are Vaishno Devi, Golden temple, Char Dham, and Mathura Vrindavan. Among the types of tourism in India, ecotourism have grown recently. Ecotourism entails the sustainable preservation of a naturally endowed area or region. This is becoming more and more significant for the ecological development of all regions that have tourist value. For ecotourism in India, tourists can go to places such as Kaziranga National Park, Gir National Park, and Kanha National Park. India is known for its rich cultural heritage and an element of mysticism, which is why tourists come to India to experience it for themselves. The various fairs and festivals that tourists can visit in India are the Pushkar fair, Taj Mahotsav, and Suraj Kund mela. Your trip should be life changing, not just a holiday! Have you been to Alleppey? Do we have a moral debt? Merkaba Holisitcs emailed to you? Madhya Pradesh Health and Travel Tips to your email?